As two cords braided together become a stronger unit, so it is when two hearts entwine their lives in marriage to become one. This ring will be an outward sign of your inner unity of spirit and love. Also available in 14K Yellow Gold, 18K Gold and Platinum, shown below. 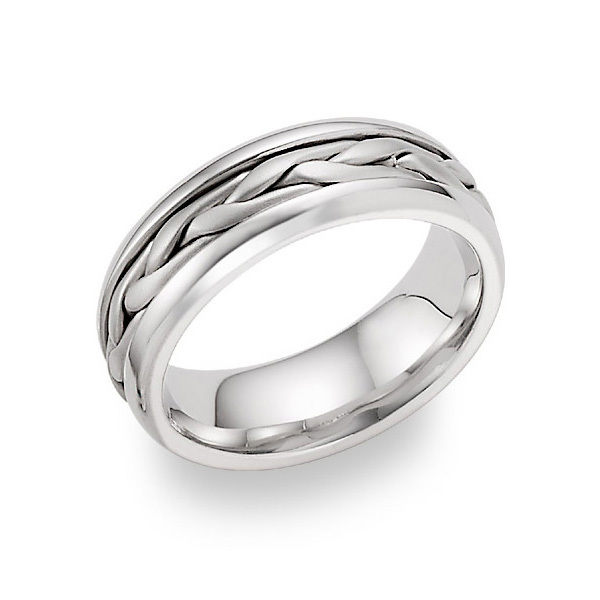 We guarantee our 14K White Gold Wide Braided Wedding Band to be high quality, authentic jewelry, as described above.